On the last night of my girls trip to Croatia this past summer, a friend trotted out the cutest/most flattering pair of white Ulla Johnson overalls that sent the other eight of us into a must-buy-too frenzy. As soon as I returned to the States I searched high and low for a pair, but alas, they were sold out. 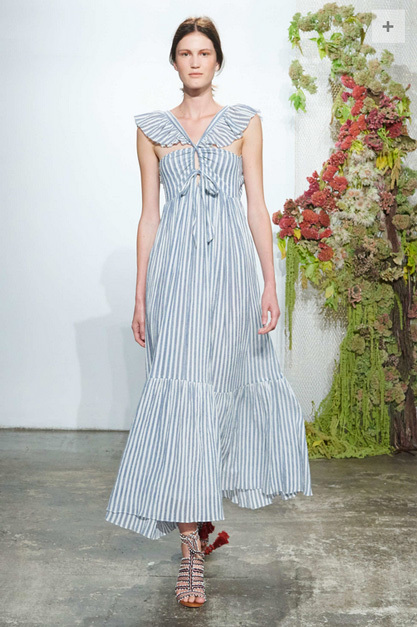 Well, I'm going to lick that still festering wound today by pre-ordering from Ulla Johnson's Spring 2017 collection, chock full of must-have pieces, including the ruffled top, above, and the striped dress, below. I also love this open-back jumpsuit, this crochet dress, and this ruffle midi. As usual I am in sync with you taste. 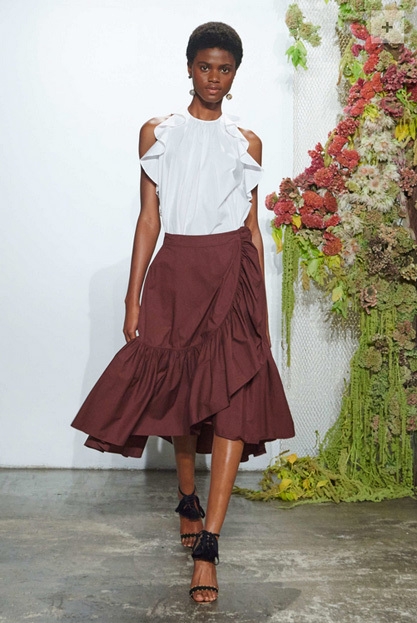 I just pre-ordered the skirt from Moda Operandi. Cant wait to wear it! Your taste is sublime. I just love all things Ulla. So perfect. Wish I could order them all. There is a pair of the white overalls on ebay in a size 4 right now!